Amy Rice is one of the most beloved artists and artisans in Minnesota. Her new, art-inspired, signature wallpaper line is self-adhesive, water-based, and non-toxic with a matte finish and texture. Read more. The first large-scale U.S. exhibition of Gudrun Sjödén’s work, “Gudrun Sjödén — A Colourful Universe” will debut at The American Swedish Institute (ASI) in Minneapolis. The Swedish clothing designer also sells bold, colorful, and vibrant home décor and furnishings that include hand-painted tableware, tablecloths and napkins, rugs and door mats, pillows and seat covers, curtains and towels, and bedding. Read more. 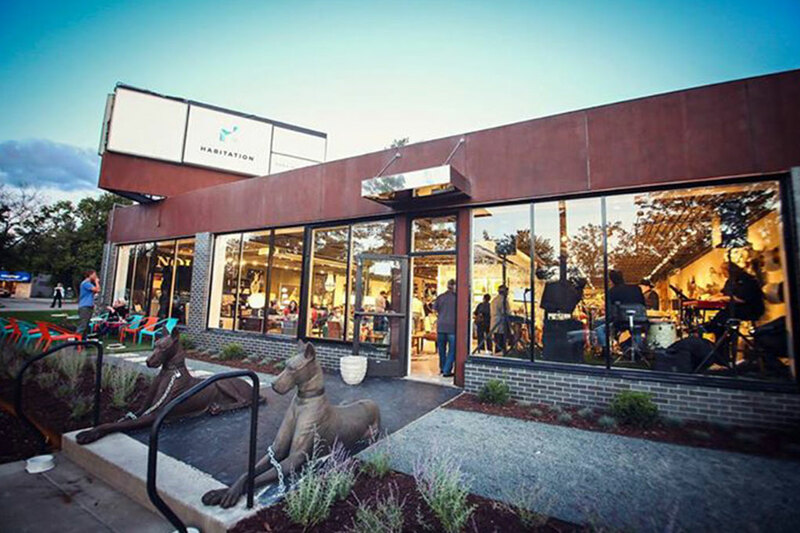 Habitation Furnishing + Design celebrates their third anniversary by welcoming new suppliers and products, updated interiors, and new amenities (like a five-year insurance program) for customers at their St. Louis Park showroom. Read more. The second week of the Luxury Home Tour is coming in hot, so be sure to grab your last-chance looks at these multi-million-dollar mansions while they last. Check out the must-see details of the remaining homes on the half-way-there leg of the annual tour. Read more.